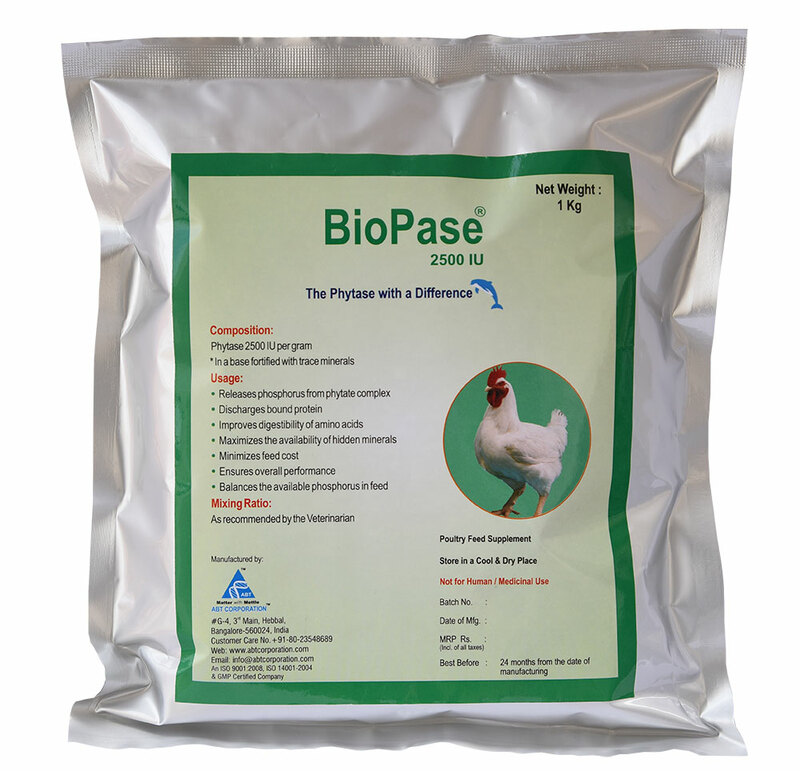 Biopase is a stable phytase enzyme supplement which releases bound phytate phosphorus. Balances the available phosphorus in the feed. or as recommended by Veterinarian / Nutritionist.